To explore the island at your own pace and for families to have fun together, guests can try out the Segway Personal Transporter.It's the first and only heritage tour n Singapore that combines adventure biking with living history! The guides take you back to the time when Sentosa was known as Pulau Blakang Mati (Back Island of Death). Lean about Sentosa's origins and uncover hidden artefacts, such as, the gun posts scattered around the island! SAEx® provides the fastest direct bus services between Night Safari & most parts of Singapore city. Please be at the pick - up points 5 mins before the scheduled time. Call our hotline 6753 0506 immediately for assistance if you face any problem. 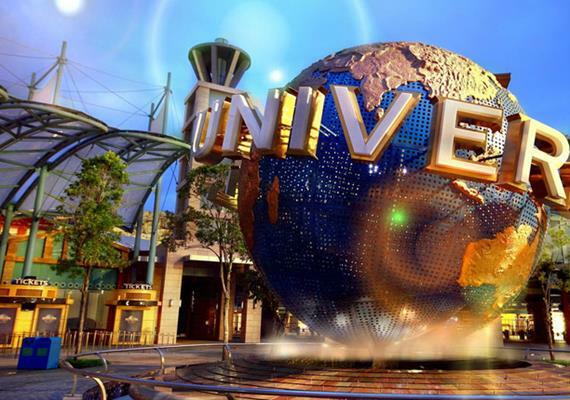 Built at a cost of S$1 Billion over 101 acres, there is little wonder that admission charges range from $12 to S$28. But it is worth every penny. Every visitor has raved about it. It's marvellous how these plants are thriving in an environment simulating various climes around the world. Experience Singapore at night from an open-top double decker FunVee bus. 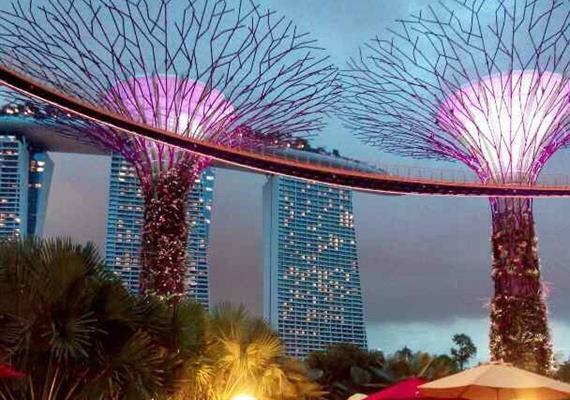 Visit the spectacular Gardens by the Bay- The World's premier tropical waterfront garden. The gardens captures the essence of Singapore as the Premier tropical Garden City with the perfect environment in which to live and work-making Singapore a leading global city of the 21st century. Dont miss the Garden Rhapsody! Watch the Supertrees come alive at night with a dazzling display of lights bursting across the sky. Next, drive pass Merlion Park, Padang and National Gallery. National Gallery Singapore is a new visual arts institution which oversees the largest public collection of modern art in Singapore and Southeast Asia. The Gallery is housed in two national monuments-former Supreme Court and City Hall-that have been beautifully restored and transformed into this exciting venue in the heart of the Civic District. Stopover at colourful Haji Lane- a row of multi-label stores, quirky boutiques as well as hip bars and cafes. Or pick up traditional wares such as Persian carpets, kebaya dresses and handmade perfukes fro Arab Street and Bussorah Street. Visit Clarke Quay- Riverside festival village dedicated to good times, combing dining and shopping. The quay is situated upstream from the mouth of the Singapore river and Boat Quay. SAEx® operates trips from the city to Sentosa and back everyday. 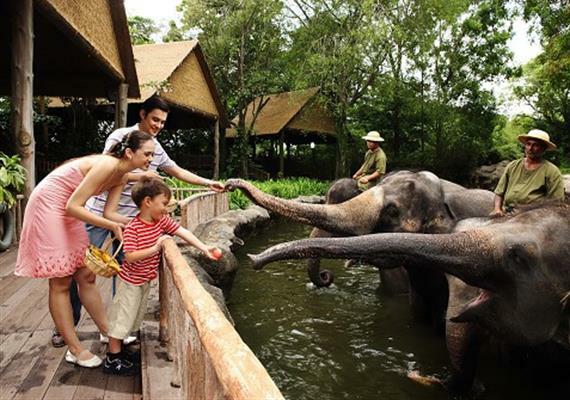 And now with SAEx® you can travel directly from the Harbour Front Station outside Sentosa to the Zoo and Night Safari as well as other attractionsl. The Singapore Flyer is 42 stories high and at at a height of 165 m (541 ft), the tallest observation wheell in the world. It is 30m taller than the London Eye. 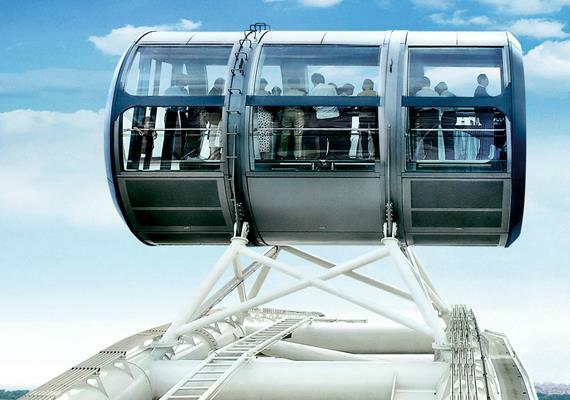 The 28 air-conditioned capsules can hold 28 passengers, and a complete rotation of the wheel takes about 30 minutes. First Little India - a haven of Indian culture and ethnicity that embodies the vibrant and colourful pulse of the Indian community in Singapore. Last stop is the Singapore Botanic Gardens, the 'green lung' of our city. Experience the calm and serenity of this 52 hectares garden. Located within the grounds is the National Orchid Garden where you can marvel at the wide and colourful variety of Orchids on display. Featuring the most extreme zip wires in Asia, an aerial rope course and a free-fall simulator, Mega Adventure Park offers a mix of adventure and thrills. 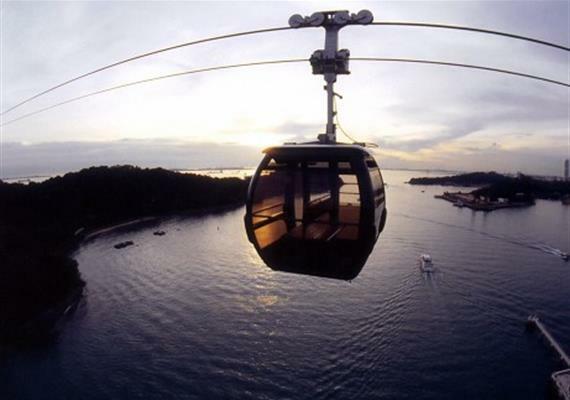 From the top of Sentosa’s nature-rich Mount Imbiah, visitors will be able have ‘the flight of their lives’ as they zip 450 metres over Sentosa’s lush forest canopy and land on an islet off Siloso Beach, at a height of over 72 metres – the steepest descent in Asia. 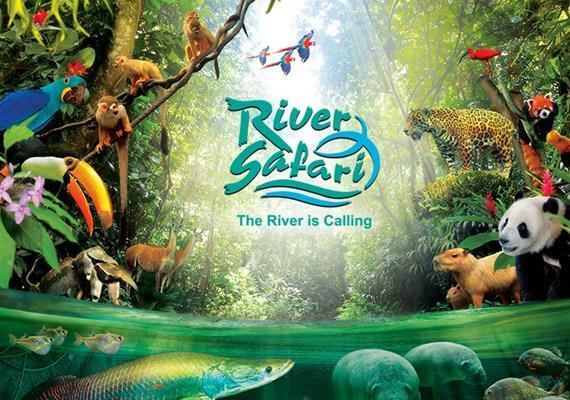 The butterflies and exotic insects in this authentic tropical rainforest will intrigue you. You won't forget this multi-sensory, interactive experience. It's an interactive movie experience with 4-dimensional digital effects. You're tossed about in your seat, feel the wind blowing and the water rushing at you. Sound, vision, motion and environmental effects give you a realistic ride into the real world. CineBlast combines a virtual 'roller coaster' ride with high-definition wide-screen projection. Sitting inside a cyclone unit that is mounted onto a 6-axis system, You'will experience real-life thrusts and motion. One minute your heart is in your mouth and the next your stomach is tumbling. Nothing beats the feeling! 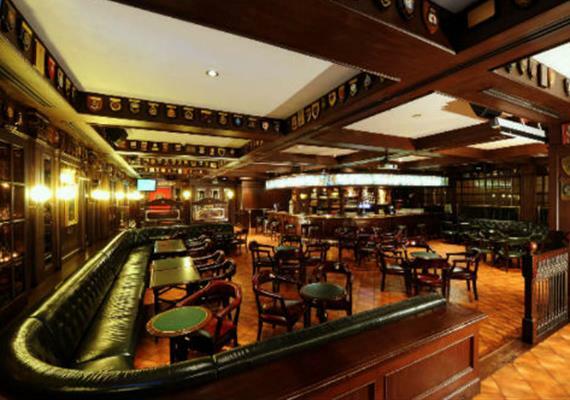 Step into the home of Tiger Beer and see how we brew Singapore's iconic beer, with just four high-quality ingredients! The Tiger Brewery Tour takes you behind each step of the brewing process from milling the malt to packaging. 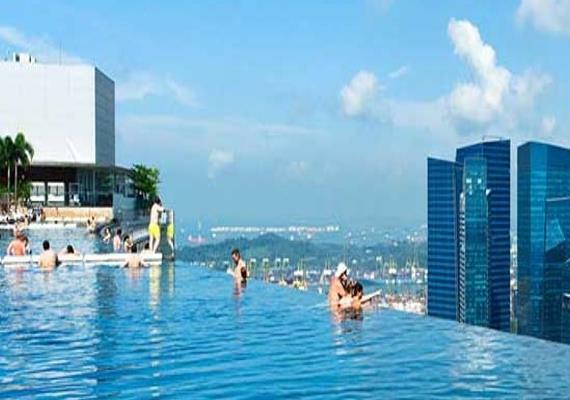 Sands SkyPark Observation Deck, soaring 57 levels above the heart of the city gives you the best view of the City of Singapore. An iconic attraction in itself, the new Singapore Cable Car presents a bird’s eye view of Singapore skyline, the habour and Sentosa. The cabin’s 360 degrees panoramic windows offer photo opportunities like no other. The design and technological features are world class and the comfort, first class. You can start from the start at Mount Faber and travel all the way to Sentosa or start midway from Harbour Front to Sentosa. 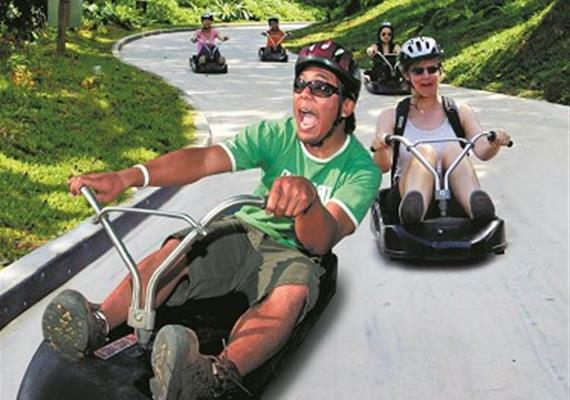 Invented in New Zealand over 29 years ago, and having hosted over 31 million rides worldwide, Skyline Luge Sentosa is the first-ever Luge introduced in Southeast Asia, offering 2 unique type of experiences, the Luge and Skyride. This 7,650-square metre simulated wave surfing attraction sits at the heart of the high-energy Siloso Beach. Making waves on Sentosa, this beachside attraction attracts surf lovers and novice riders trying their hands at surfing without leaving the country. Madame Tussauds Singapore is the ultimate ‘celebrity’ attraction allowing visitors to ‘meet’ and to interact with their heroes, brining the best and most life-like wax figures in the world to Sentosa. It is uniquely tailored to reflect the culture and excitement of its Singapore and Southeast Asia location.This unique ride reflects Singapore’s fascinating and colourful culture and history. At singapore's tallest observatory tower, look above the natural grenery for breathtaking scenes of the surroundings, and do it in air-conditioned comfort. It's time to enter in the waters of Marina Bay for a breathtaking view of the Merlion, Singapore River, the iconic Marina Bay Sands, view Esplanade Theatres on the Bay and Singapore skylines, the kind of view you just won't get anywhere else. The Flying Trapeze offers even more fun and excitement for visitors to Sentosa – be it as a participant or as a spectator. An excellent form of sport and recreation, learning the trapeze helps develop one's concentration, strength and co-ordination – as well as helping to conquer any fear of heights. KidZania Singapore offers an interactive learning and entertainment experience for kids in a kid-sized city, through over 60 role-play activities. More than an indoor theme park, kids can experience role- play activities, earn a salary in the form of kidZos, the offical currency of KidZania, pay for goods and services and manage a bank card. It is the only KidZania to be located on an island resort, and the first in the world to house a full-sized fuselage of a Boeing 737. Occupying 7,600 square metres of floor space, the attraction is currently home to 37 brand partners, of which 17 are Singaporean brands.